"Neo CS Carbon Nanotube" gets caught in and it sharply shoots with "Sonic Metal". 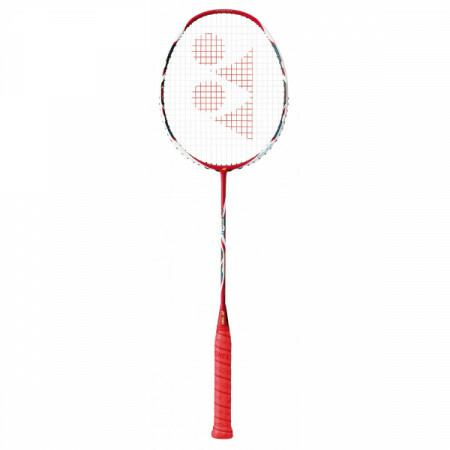 I am using it as the main racket now, but I think that it is a racket with few disadvantages. Both swing and shot feel good well, it is comfortable to use. It is a racket for advanced players, but intermediate-class players also want their hands stretched out if there is trouble with defense. The good part of this racket is easy to handle. 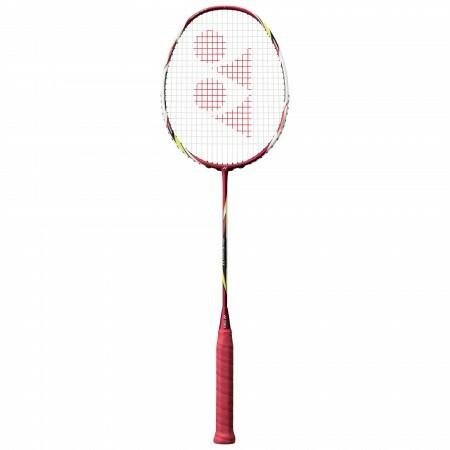 In Yonex's matrix diagram it is somewhat top heavy but there is not such a thing, and swing is quite light. Shaft is not too hard like other advanced models, hard enough to use it if you have basic skills and physical strength. Small burden on the body. If you mention the difficulty, it will be unsatisfactory for people with fast swing speed. I can do any technology without it, but there is no sharp point. If the swing is fast, the more powerful you use the one with more shafts and heavier heads. Recommended tension is as low as 24 pounds. Although I do not have the latest flashy, I think that I am a wonderful racket from the ease of handling. I felt the fun of the game again with this racket. I'd like you to choose people who want to become better and better. I write it here in March, 2019, but it is going to be out of print soon. I am very sorry, I chose 4U of Astrox 88S for the next racket. Although 3U of 88S was too heavy, 4U could use it without feeling uncomfortable. I would appreciate it if it is helpful for those who are looking for successor model. I will write in a little more and write your thoughts. It is the racket originally used for the main. It is a recommended racket for the control player. Although it is easy to handle, I think that the shot of the offensive system does not suit well. The best attraction is good control. After changing to this racket, it seems that just by hitting the wrist snapping and hitting it, the control has become much better. Also, the repulsive power was also strong and there was feeling when hitting Smash! This racket is easy to control the ball, I think it is an all-around racket. Beginners · Beginner · Intermediate · Advanced, I think that it is a racket that is easy to use for any level of players. I felt it was a racquet with little habit which I could use regardless of singles doubles. It is a racket recommended to many people because there is no protruding place. I recommend this arc saber 11. This racket has a feeling of being hit very pleasantly, I use it because I have a crack and firm impact. It may be for a bit advanced users. There is a very sharp impression of shot feeling.